Pour milk over tortillas and let sit for an hour. 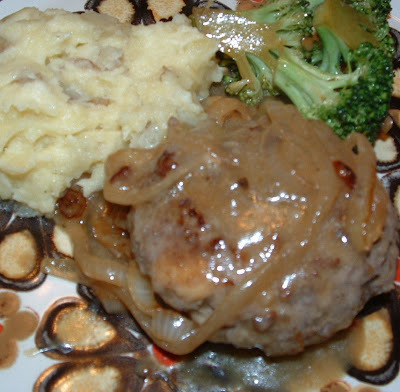 With your hands mix ground round and onion dip mix together and let sit for an hour in fridge. Mix together the tortilla mixture and the beef mixture until uniform in consistency. Hand form 6 small steaks. 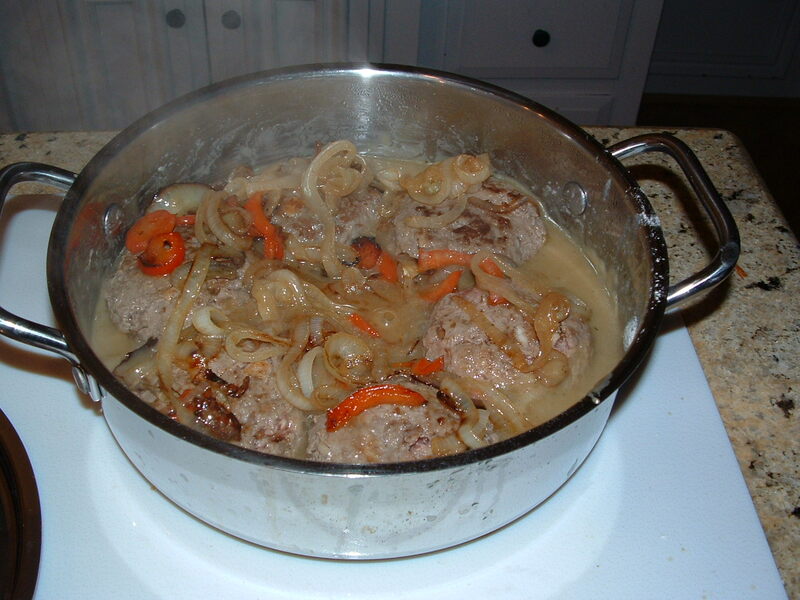 When sizzling, add onions and pepper and saute' until caramelized. Lower heat slightly. 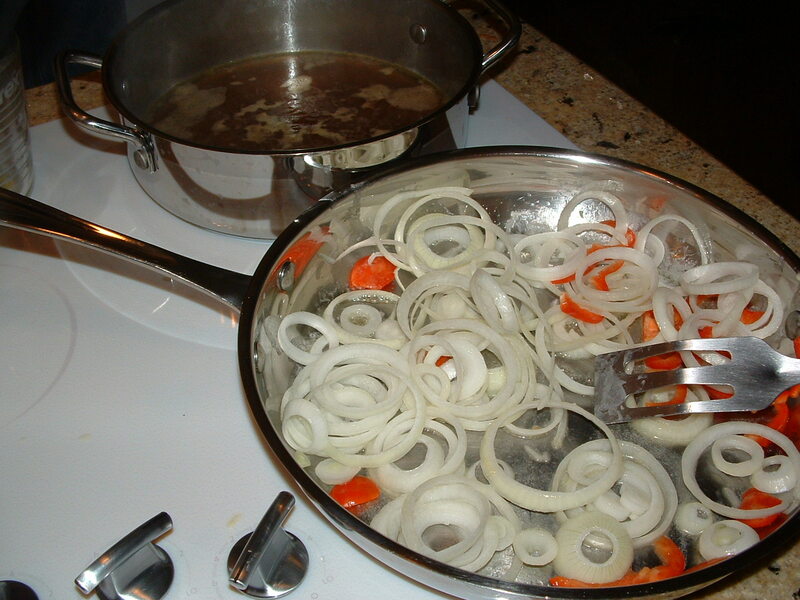 Arrange onions around the outside of the skillet and add steaks. Turn regularly until brown all over and cooked through. In a saute pan, bring broth to a simmer. Sprinkle flour into broth while constantly whisking until slightly thickens. 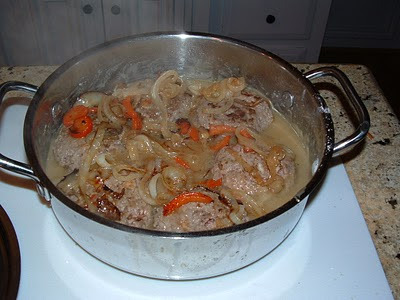 Lower heat, transfer steaks into broth mixture and top with onion mixture.